Are you looking for a fresh start in a dynamic and highly popular area of London? Has planning for your move left you feeling exasperated and at a loss of what to do? Well if you’ve been looking for a Hampstead moving company then look no further. Moving Service have been helping people move to Hampstead for generations, and so if you need some guidance and assistance from a premier removals company, we are the only company for you. We have a number of services to offer, such as our packing and unpacking service, which has proved to be hugely popular among business owners or parents with very little time. You can even purchase packaging equipment from us if you need some extra supplies in preparation for your move. For moving day, you can hire one of our fully equipped moving vehicles, driven by our hard working crew members who will be on hand to help load up your possessions in the back, ensuring that they are secured and readied for transportation. So give us a call now on 020 8746 4402 for a chat with one of our customer service representatives and a no obligation free quote. The area falls under the London Borough of Camden. Forming part of North London, its postcode districts are NW6 and NW3. Known for its intellectual, quirky musical and artistic side the area is unsurprisingly home to a wide range of cultural events and activities. During the summer, the area surrounding Kenwood House plays host to many open air music events, in addition to readings of poetry and funfairs and child friendly entertainment. There are numerous parks and open spaces here such as the Hampstead Heath, where you will be able to get a fantastic view of the City skyline. There are also 3 open air public swimming pools in the area, so there is plenty for the whole family to enjoy during the summer months. During the winter period, why not get some history and culture by visiting one of the many local museums, such as Fenton House, or catch a film at the Everyman Cinema. The area is well served by some fantastic transport links; the major bus terminus at Hampstead Heath has several bus routes to get you around London and Hampstead tube station on the Northern line can get you to Charing Cross under 20 minutes. Planning for a move to a new area can be tiresome and can keep you away from the things that really matter in your life. Well if you’re moving to Hampstead, Moving Service will take care of every little detail, leaving you to carry on with your daily activities. All you need to do is get in touch with us on 020 8746 4402, tell us your requirements and our friendly staff will be on hand to make a quick removal assessment and offer you a free quote. Our range of removal services stem from helping people with their removal projects over many years, so we know what you are after from your removal company. We strive to ensure that you will get the best possible service that is unrivalled in both its quality and whilst ensuring that you are getting exactly what you need. Our removal services in Hampstead, NW3 includes a selection of different removal vehicles, such as our man and van services, self hire vehicles or our fully equipped moving trucks, packing and unpacking services and use of our storage units. You can get everything you need directly from us, so get in touch to book one of our services. 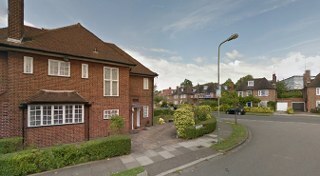 Reliable and convenient house moving service in Hampstead. Good prices, easy to deal with.